You wake up in the middle of the night, heart pounding. You’re scared and disoriented. You just had a very realistic nightmare. Nightmares don’t only happen to children afraid of monsters under their beds. 8-29% of adult Americans have a nightmare every month, and 2-6% have a nightmare every week. (1) That’s a lot of missed sleep! Every time you’re woken up by nightmares, you’re disrupting your sleep. You’re risking sleep deprivation and all its harmful effects. If you want to get better sleep, you need to learn what causes nightmares. 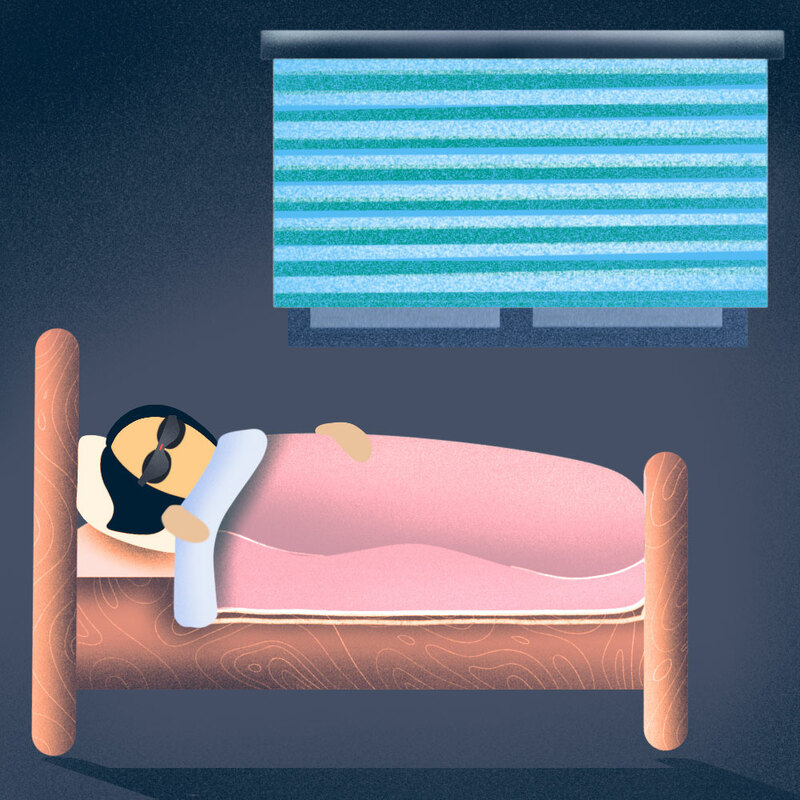 Turns out, avoiding nightmares and getting better sleep is easier than you might think! Nightmares are vivid dreams that cause feelings of fear, distress, sadness, or anxiety. They occur during REM sleep cycles when your brain activity is high, but your body is under sleep paralysis. Sleep paralysis prevents you from acting out your dreams. Without it, you could dream about fighting a monster and wake up to find yourself fighting your own pillow! Night terrors occur mainly during slow-wave sleep, are harder to wake up from, and are more difficult to remember clearly. What Are the Causes of Nightmares? Sleep scientists have different opinions on what causes nightmares. Here are a few theories. 1. 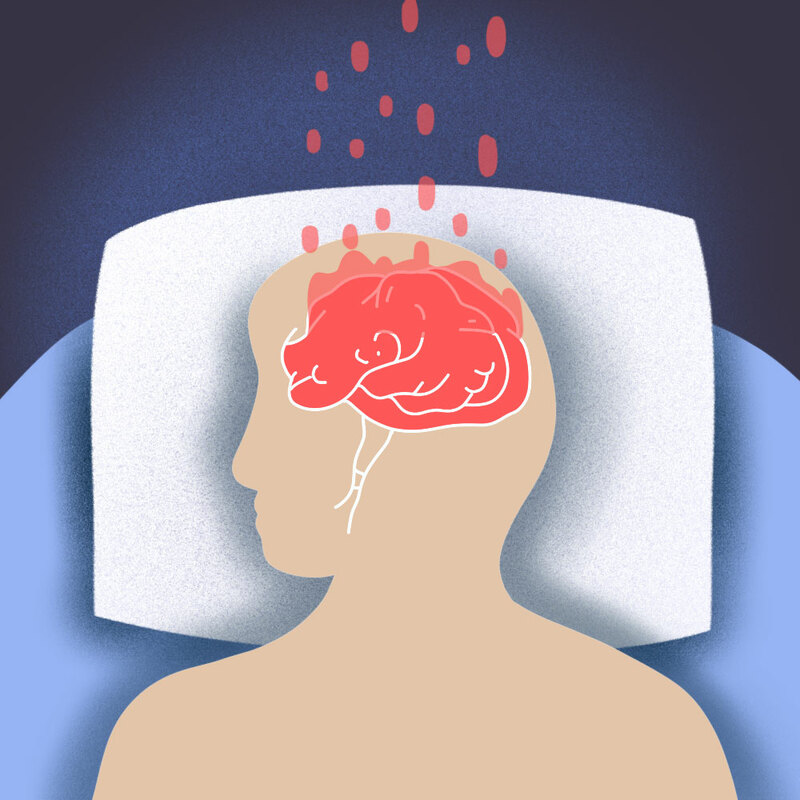 Nightmares are your brain attempting to put a story to random neural signals. This could explain why dreams and nightmares often seem random and full of nonsense. 2. Nightmares help us learn. You might have noticed you recall new information more easily after you sleep on it, which could be due to dreams and nightmares. Some researchers believe information moving from short-term to long-term memory storage builds nightmares. Others think dreaming gives you the chance to “practice” new information – and if that information is unpleasant, you get a nightmare. 3. Nightmares are the “garbage disposal” of memory. Your brain is trying to get out unnecessary details and stresses. You don’t need to remember scary details about that horror movie you just watched, so your brain “clears them out” in a nightmare. 4. Nightmares allow you to practice dealing with threats safely. Most nightmares are worst-case scenarios. For example, you may have a nightmare in which you not only forget your pants, but you have to give an important on-the-spot presentation! If you encounter a less extreme scenario with some of the elements of your nightmare, you’ll be better able to deal with it. 5. 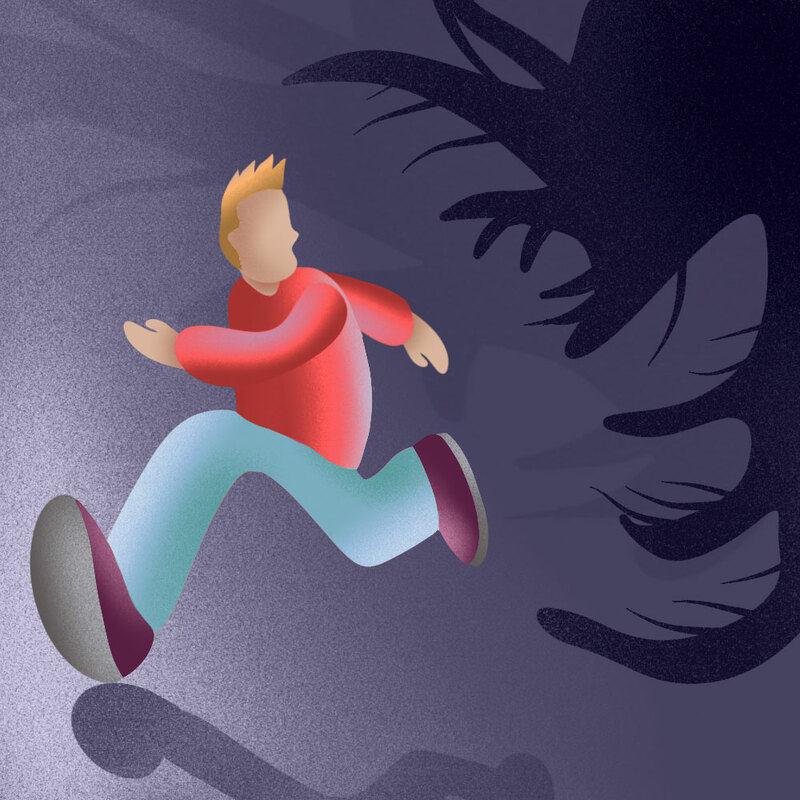 Nightmares help you work through anxiety and traumatic events. They draw attention to things which are causing you stress and help you process them. Have you heard the urban legend that overeating cheese causes nightmares? Turns out it might not be so crazy after all! Eating spicy or junk foods before bed can also cause nightmares. Just another reason to watch what you eat before sleep! What Are the Most Common Nightmares? What Do They Mean? Don’t be so quick to forget your bad dreams! Your nightmares can let you know what is causing you stress. Once you know what’s causing your bad dreams, you can fix it. You’re overscheduled and can’t keep track of all your commitments. You worry about forgetting important things because you’re too busy worrying about other things. You’re avoiding an issue or person. You know the problem will continue to catch up to you until you’re forced to confront it. You’re dealing with a big life change represented by the dying person in your nightmare. Even positive life changes (like starting a new job or relationship) can cause the occasional nightmare. This is completely normal. It’s just your brain’s way of dealing with change. You feel out of control and unsupported by loved ones. The environment in your dream gives clues to the source of the stress in your life. Use these clues to find out what’s bothering you and tackle the issue so you can get some sleep! 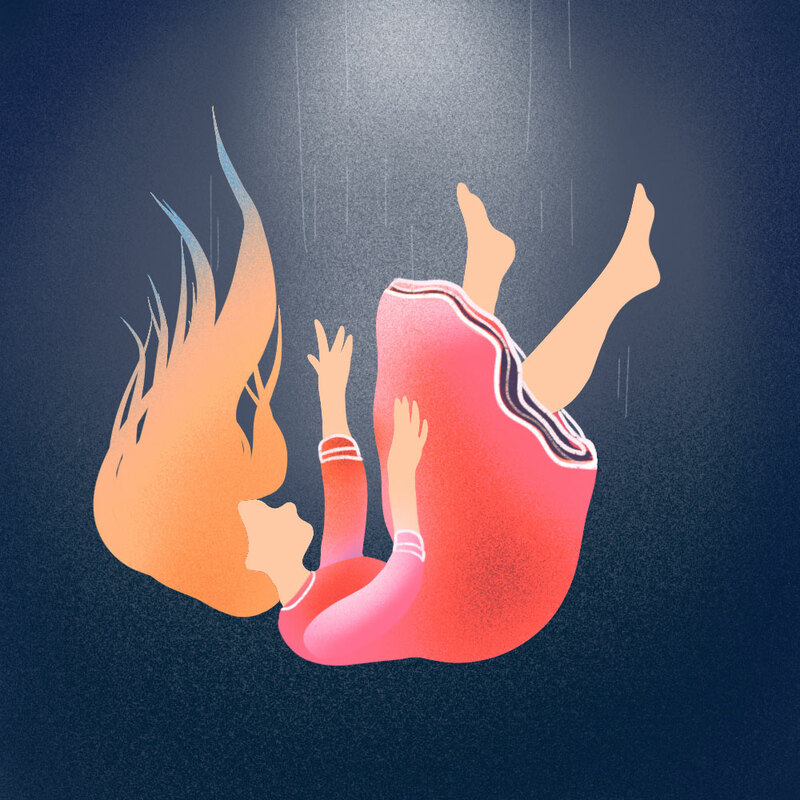 How Can Nightmares Affect Your Health? Occasional nightmares are normal. Don’t worry about them, just try to get back to sleep as quickly as possible after you wake up. If you regularly wake up with nightmares, you’re probably not getting enough quality sleep – especially REM sleep. Without REM sleep, you’ll be tired, irritable, paranoid, and unable to focus. You’ll experience other harmful effects of sleep deprivation, such as weight gain, a weak immune system, and premature wrinkles. Plus, not getting enough sleep will only make you more stressed during the day. If you don’t improve your sleep quickly, nightmares could lead to insomnia and a terrible cycle of exhaustion. What Can You Do to Avoid Nightmares? The easiest way to avoid nightmares (4) is practicing good sleep habits. You’ll be able to fall asleep faster, stay asleep longer, and feel well rested (without nightmares!). If your nightmares are due to anxiety or the side effects of medication, ask your doctor what steps you can take to fix the problem. In the meantime, follow these tips for some much-needed rest. Nobody likes being woken up by nightmares. Trying to fall back asleep after a bad dream ruins your sleep schedule and can lead to health problems. If you know what causes your nightmares, you can stop them and get some rest. Remember: the best and easiest way to stop nightmares is good sleep habits. (1) Hasler, Brant MA and Germain, Anne PhD. “Correlates and Treatments of Nightmares in Adults." PubMed, www.ncbi.nlm.nih.gov/pmc/articles/PMC2806673/. Accessed 7 Nov. 2018. (3) “Nightmare in Adults” WebMD, www.webmd.com/sleep-disorders/guide/nightmares-in-adults#1. Accessed 7 Nov. 2018. (4) "Nightmares" Psychology Today, www.psychologytoday.com/us/conditions/nightmares. Accessed 7 Nov. 2018. Just had a super realistic nightmare? Learn what your nightmare is telling you.